What's it about? 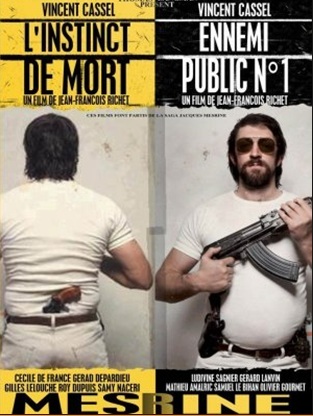 A biopic about the infamous French criminal Jacques Mesrine. He was a bit of a hallion. Is it any good? Two films, but really just one long film, split into two parts. It's a fast-moving, exciting, confidently assembled crime thriller with a powerhouse performance from a brilliant Vincent Cassel at the centre. It doesn’t add anything particularly new to the gangster genre and it probably lionises Mesrine a little too much, but it’s superb entertainment – 4 hours just whiz by. Anything else I should know? If you want to know a bit more about the very cool Vincent Cassel, check out the interview below and then catch his electrifying breakthrough performance in La Haine. What does the Fonz think? Bon appetit!